at 10.30 am. Visitors are always welcome. Tea and coffee are served in the hall after the 10.30 am service when everyone is welcome to share a time of fellowship. Evening Worship - "When the Sun Goes Down" - is held monthly at 6pm in the Sanctuary on the 1st Sunday of the month during October to December then February to April. Communion is celebrated 3 times a year in the months of January, April and September in the Sanctuary during the morning service. 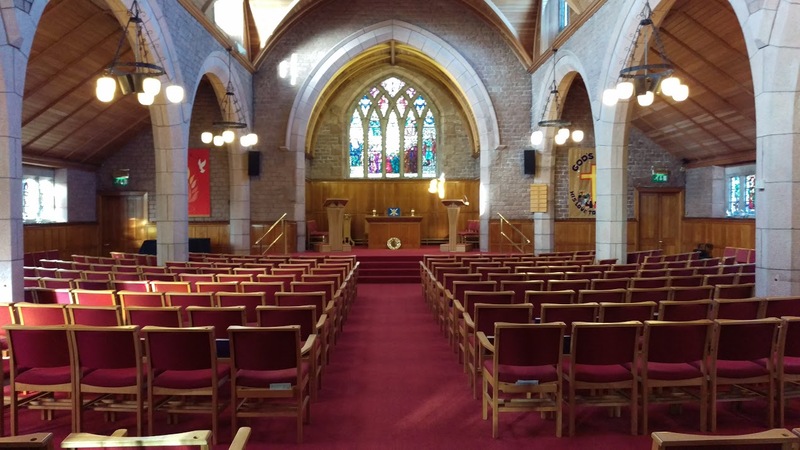 The next formal Communion Service will take place on Sunday 28th April 2019. There are two halls which provide opportunities for a wide range of Junior Church activities to take place during the Church Service and at other times. Messy Church meets in the Kirk Centre from 3:30-6 on the first Thursday of every month for crafts, games, a bible lesson, and a delicious meal. Messy Church is for all ages and is always fun for mums and dads as well as the kids. Come along and see what church can be like if you embrace the chaos and welcome the mess!